Have you heard about our Pro Grip? Our Pro Grip Series is an exciting innovative display solution. It is an easy-on and easy-off design that offers both sustainability and creativity. Made of an ultra-thin film, it is printable on a wide range of printers and ink delivery systems. Its design allows for effortless installation, which is faster than traditional adhesive films. With most Pro Grip versions featuring a bubble-free finish! 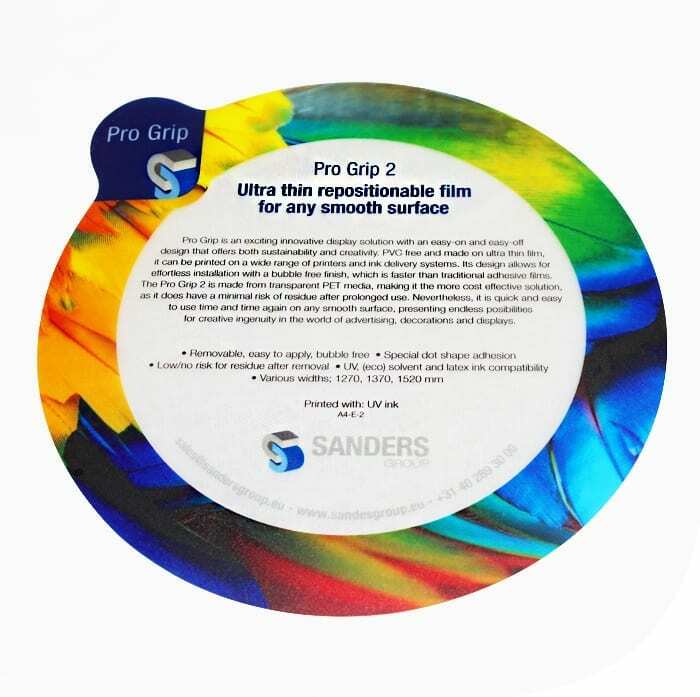 With the non-traditional adhesive design, you can remove, reposition and reuse our Pro Grip. Quick and easy to use time and time again, our Pro Grip can be applied to any smooth surface. This gives you endless possibilities for creative ingenuity. Especially in the world of advertising, decorations, and displays. Our Pro Grip is usable for long-term use in and outdoors.